Mr. Sami Riekkola (M.Sc. (Eng)) has been appointed Business Line President, Automation as of September 1, 2018. He will be a member of Valmet's Executive Team and report to President and CEO Pasi Laine. 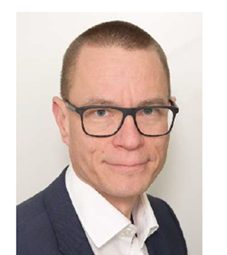 "It is a pleasure to welcome Sami Riekkola to our Executive Team. His long and versatile experience in our automation business has helped him to gain a thorough understanding of the business and its customers in different markets. With this background, I believe Sami is in an excellent position to lead our Automation business line and to grow it further. I want to thank Sakari Ruotsalainen for his strong dedication and excellent contribution to Valmet's success in the past years. It has been a true pleasure to work with Sakari. We wish Sakari all the best for his well-earned retirement days," says Pasi Laine, President and CEO of Valmet. Sami Riekkola has been appointed Business Line President, Automation as of September 1, 2018. Prior to that he was employed as Vice President, Energy and Process Systems at Valmet (2018), Vice President, Central and Southern EMEA, Automation Business Line, Valmet (2015-2018), Vice President Automation, Sales, Central Eastern Europe, Metso (2013-2015), Director, Machine Vision Product Group, Metso (2010-2013), Engineering Manager, Metso (2006-2010), Product Manager Profilers & Quality Management Systems, Metso (2004-2006), Senior Customer Support Engineer, Metso (2003-2004), Project Engineer, Valmet Automation (1998-2003). Mr. Riekkola holds a Master of Science degree in Engineering, Automation Technologies (1998).